With all the exterior carbon fibre upgrades on offer for your F-Type V8 and V6, we decided the inside needed some attention. The F-Type is a stunning work of art, such a great car, but the plastic dash board really seems to miss the quality mark. We now offer a 3-piece carbon fibre dashboard that will give your Jaguar F-Type a timeless high gloss finish which is weaved over real carbon fibre. 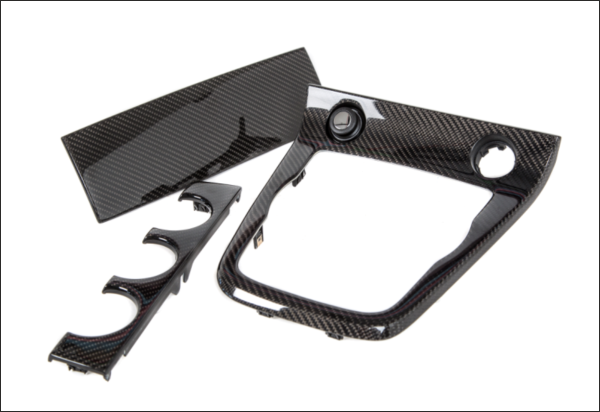 You really can complete the look inside and out for your Jaguar F-Type V6 and V8 with the Carbon fibre front splitter, rear diffuser, side skirts, Project Predator Bumper, front grille and now the carbon fibre dash board. We can offer this either mail order or we can fit in our state of the art workshop based in Bidford On Avon just outside of Stratford Upon Avon. We can also offer several different finishes to match your interior perfectly for example red, high gloss, piano black if your colour choice is not listed please contact us to see how we can make your F-Type dash board carbon fibre upgrade unique to you. We can also offer you a full custom ECU tuning and remapping with our performance exhaust that come with or without the valves, you have the look, the power and the sound your F-Type V6 and V8 is now complete. For all your tuning styling and performance needs look no further than Viezu Technologies, Paramount Performance and VIP Design London. All upgrades can be offered mail order and VAT free subject to location, fitted and shipped to your chosen fitter, we can recommend a dealer within our network or we can roll out the red carpet her at HQ and offer you a fitting quote for all Performance upgrades and enhancements.